Aurora Cannabis Inc. (“Aurora” or the “Company”) (ACB.TO) (ACB.TO) (Frankfurt: 21P; WKN: A1C4WM) announced today that Polish Ministry of Health granted the Company approval for its first shipment of medical cannabis to Poland. In the coming days, Aurora Deutschland GmbH will ship the products to a pain treatment center and a hospital in Warsaw. This is an important milestone for medical patients in Poland, as it is believed to be the first time a non-government run business has been granted approval to supply medical cannabis products in the country. 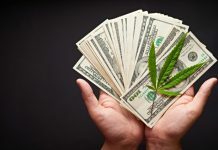 In addition to the Company’s rapid organic growth and strong execution on strategic M&A, which to date includes 15 wholly owned subsidiary companies – MedReleaf, CanvasRX, Peloton Pharmaceutical, Aurora Deutschland, H2 Biopharma, Urban Cultivator, BC Northern Lights, Larssen Greenhouses, CanniMed Therapeutics, Anandia Labs, HotHouse Consulting, MED Colombia, Agropro, Borela, and the pending acquisition of ICC Labs – Aurora is distinguished by its reputation as a partner and employer of choice in the global cannabis sector, having invested in and established strategic partnerships with a range of leading innovators, including: Radient Technologies Inc. (RTI.V), Hempco Food and Fiber Inc. (HEMP.V), Cann Group Ltd. (CAN.AX), Micron Waste Technologies Inc. (CSE:MWM), Choom Holdings Inc. (CSE:CHOO), Capcium Inc. (private), Evio Beauty Group (private), Wagner Dimas (private), CTT Pharmaceuticals (CTTH), and Alcanna Inc. (CLIQ.TO).